The unit mounts onto any standard lightstand with a 5/8" or smaller mounting stud. - Independent rotating lamp holders. - Individual on/off switches for each bulb. 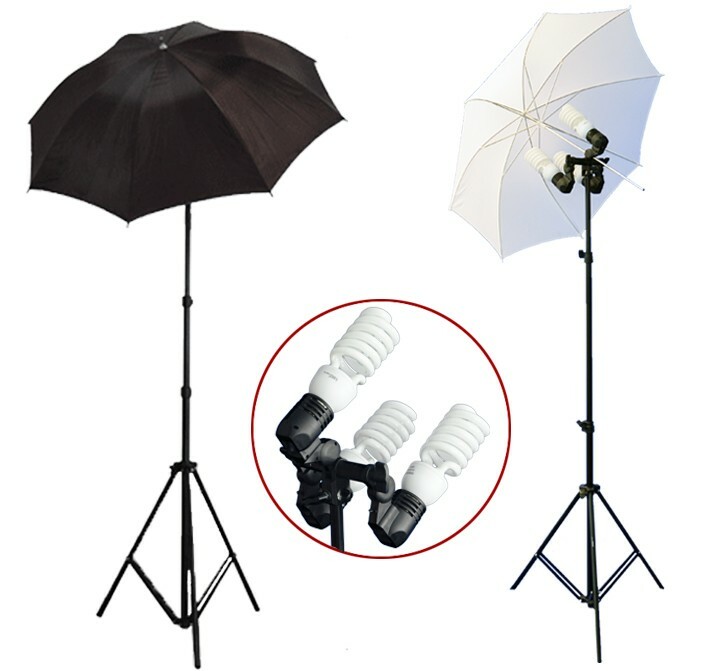 - Easily attaches to light stand mount stud. - Height adjustable Min 53" - Max 100"